Amora Hotel Riverwalk located in Richmond, is a fantastic venue to host your next event. 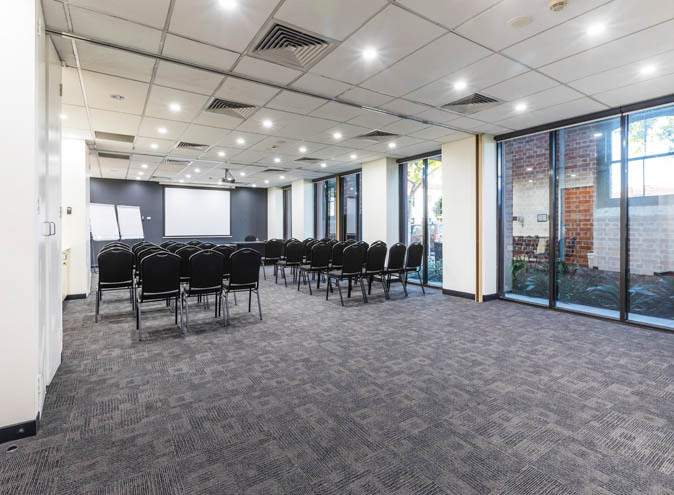 Surrounded by lush greenery and the Yarra River, this stylish boutique hotel is designed to set any event apart from the rest. Featuring an extensive courtyard and gorgeous views, outdoor events can be perfectly set up in this space. The hotel is also located within the popular Bridge Road shopping precinct. 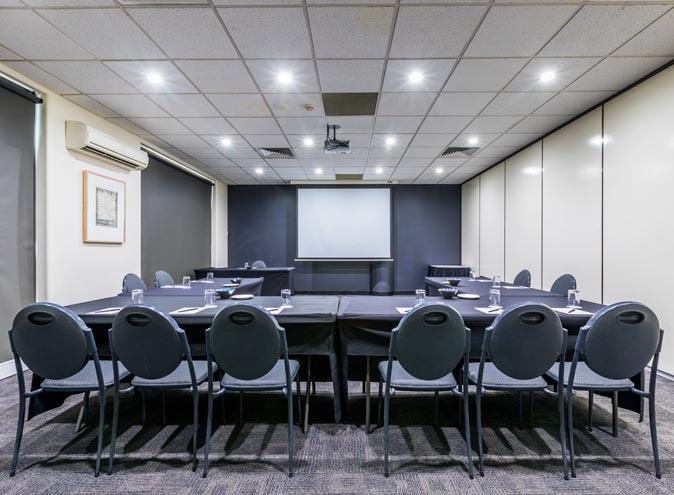 This luxurious room comes with floor to ceiling windows and inbuilt audio visual equipment making it ideal for conferences and dinner events. This room can cater for up to 150 sit down, 220 theatre style or 250 cocktail style. 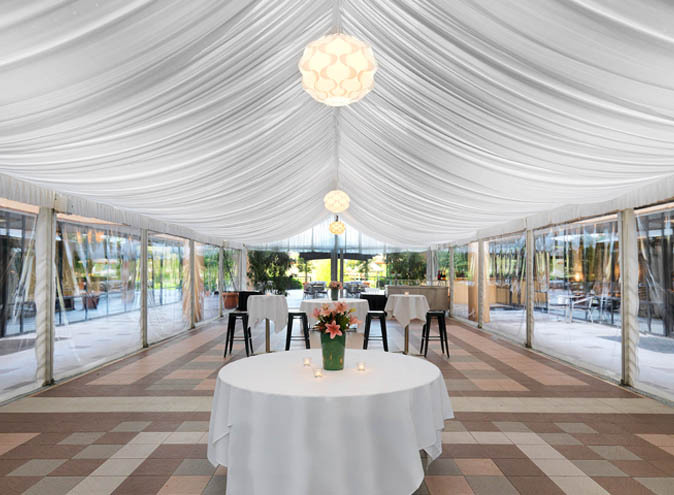 Located in the centre of the courtyard overlooking O’Connell Reserve, the Courtyard Marquee is a perfect space for weddings, gala events and trade shows. The marquee can accommodate 140 sit down or 250 cocktail style. These rooms can accommodate smaller events. 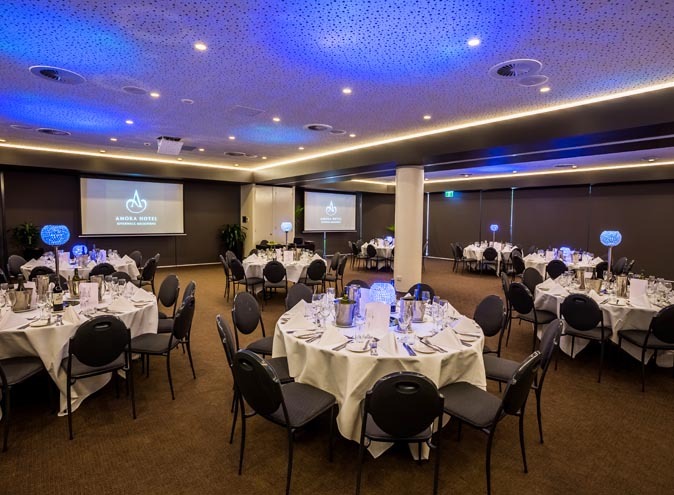 Located at each end of the hotel overlooking O’Connell Reserve surrounded by glass is ideal for the intimate wedding, birthday or anniversary celebration or cocktail event. These rooms are designed for your small to medium sized meetings. 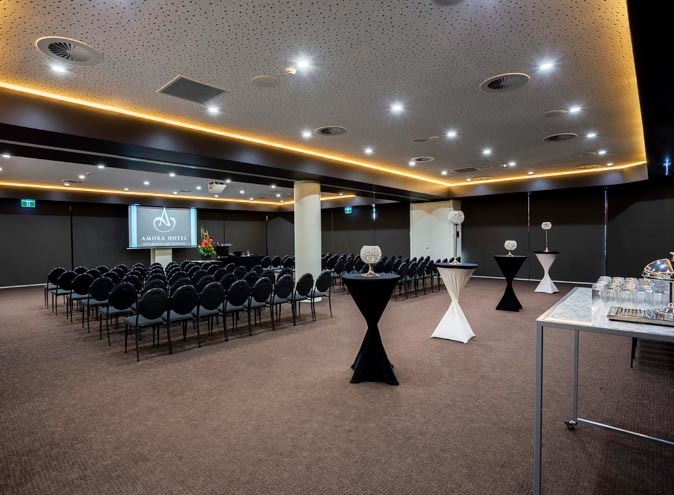 With inbuilt audio visual equipment they can accommodate a range of different set-ups from 5 – 90 people.